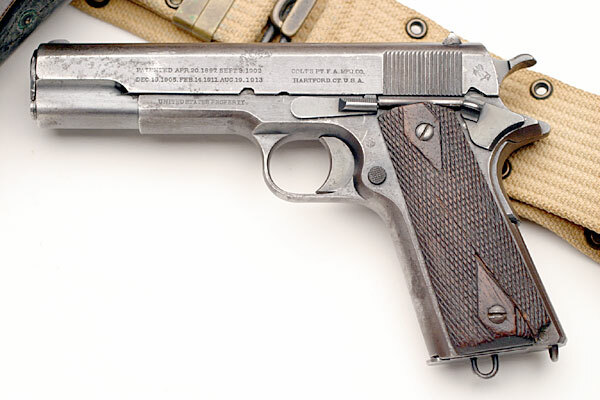 Colt Model 1911 serial number 108583. One of 1,904 pistols shipped to Commanding Officer, Springfield Armory, Springfield, Massachusetts on March 13, 1915. 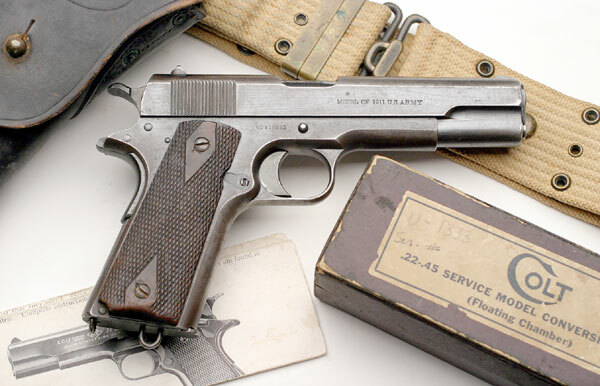 A Colt .22-.45 Service Model Conversion Unit Serial Number U1333 accompanies this pistol. 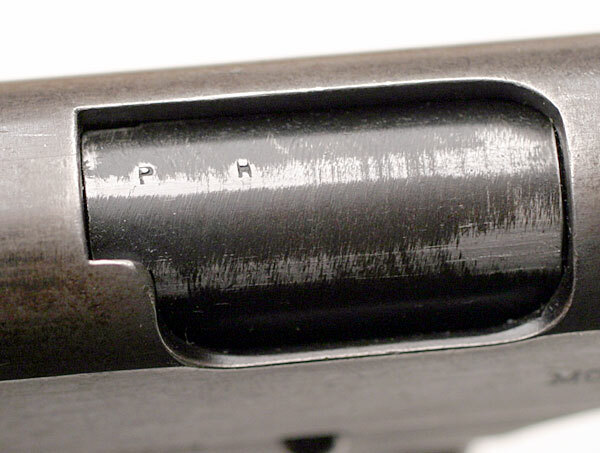 Pistol was issued to Staff Sergeant Howard L. Pugh, Company C, 752nd Tank Battalion. Conversion Unit U1333 was shipped March 6, 1942 in a shipment of 11 units to Richmond Hardware Co, Richmond, VA for The Adjutant General of Virginia, Commonwealth of VA Warehouse, Richmond, VA.
Colt Model 1911 serial number 108583 - left side. Before World War II, Captain Pugh was a company commander in Company "A" of the Richmond Light Infantry Blues (Co. 31, 3rd Battalion, Virginia State Guard) He resigned that post at the outset of the war and enlisted in the U.S. Army. During the war, he was in the tank corps and attained the rank of staff sergeant. 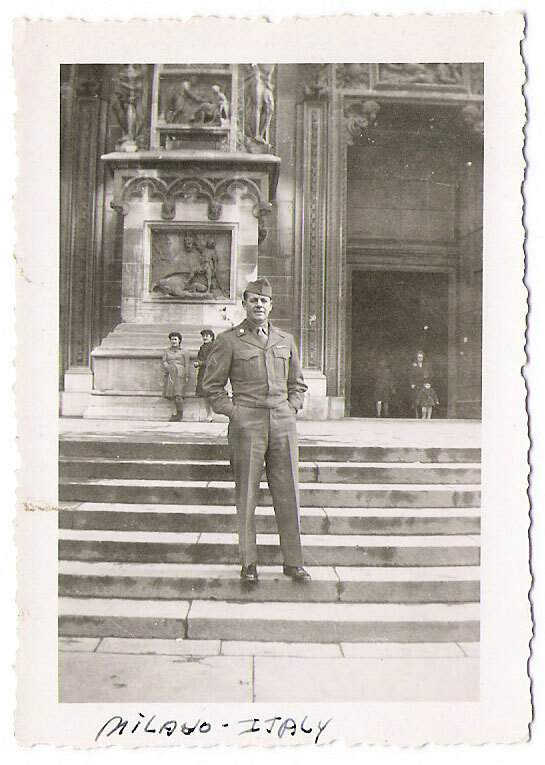 Staff Seargent Howard L. Pugh in Milano, Italy during World War II. 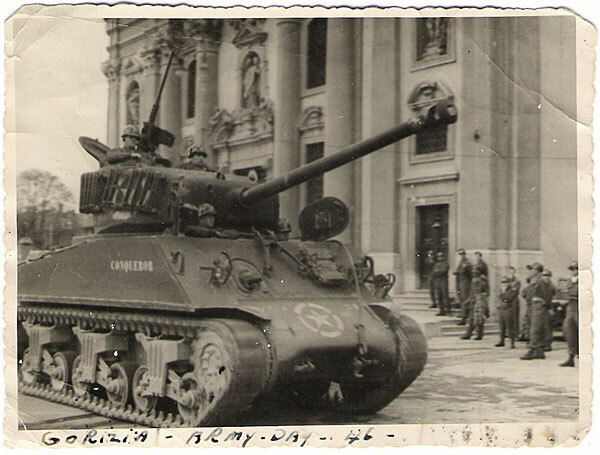 Staff Sergeant Pugh, Company C, 752nd Tank Battalion, Gorizia, Italy - Army Day, 1946. 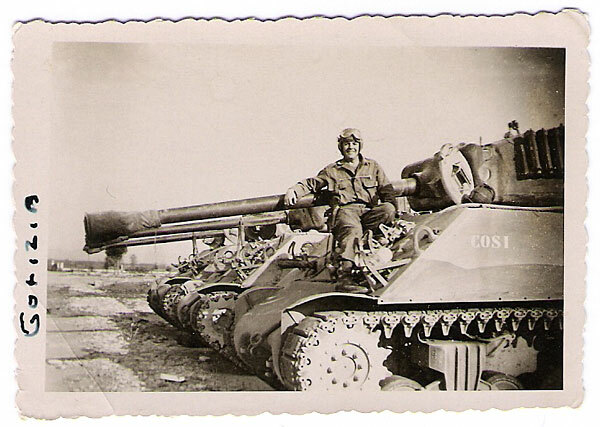 Staff Sergeant Pugh, Company C, 752nd Tank Battalion, Gorizia, Italy. 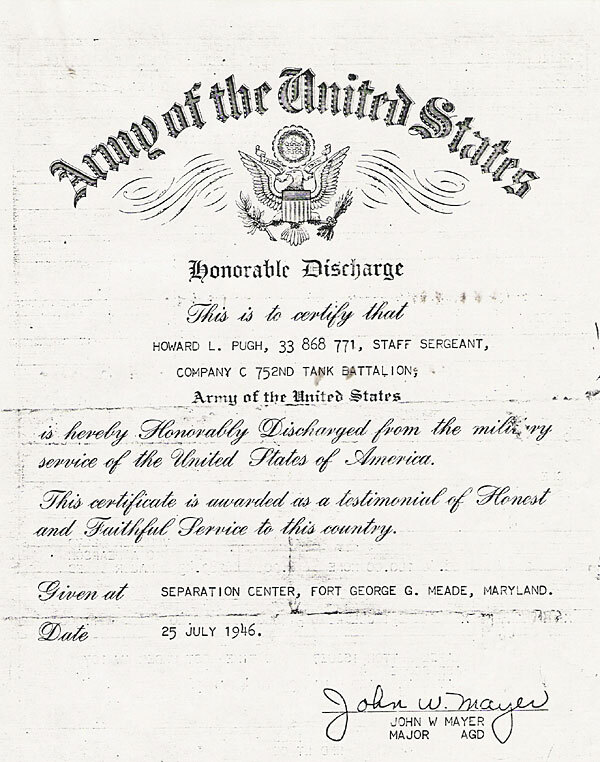 Staff Sergeant Howard L. Pugh's Honorable Discharge, 25 July, 1946. A funeral for Howard Latham Pugh, a retired executive vice president of the former R.H. Hardesty Candy Co., will be held tomorrow at 2 p.m. at Westover Hills United Methodist Church, 1705 Westover Hills. Blvd. Burial will follow in Oakwood Cemetery. Mr. Pugh died yesterday at age 75. He was a Richmond resident. He attended Richmond Public Schools and also the Virginia Mechanics Institute in Richmond. Before World War II, Mr. Pugh was a company commander in the Virginia Light Infantry Blues. He resigned that post at the outset of the war and enlisted in the U.S. Army. During the war, he was in the tank corps and attained the rank of staff sergeant. He began work with the R.H. Hardesty Candy Co. in the 1940s and was promoted to executive vice president in 1964, a post he held until his retirement. Mr. Pugh was a past president of the Richmond Sales Representatives Association and a past member of the executive board of Sales and Marketing Executives of Richmond. He also was a member of the National Confectioners Association. He served as a district commissioner for the Boy Scouts of America. Mr. Pugh was an active member of Westover Hills United Methodist Church for 41 years. Survivors include his wife, Mrs. Jean Satterfield Pugh; a son, Howard Latham Pugh Jr. of Richmond; a daughter, Mrs. Martha P. George of Richmond; and a grandson. The family suggests that memorial contributions may be made to the American Cancer Society.